It was only supposed to be a simple trip. Carole Lombard had been asked by the President to undertake a war bond drive starting in her home state of Indiana. Roosevelt had been inspired by the bond drive initiated during World War I and who successful stars like Mary Pickford, Chaplin and Douglas Fairbanks had been in persuading the public to buy. Indiana had been one the biggest states in war bond sales and it seemed fitting that Carole Lombard should be asked to spearhead the drive. 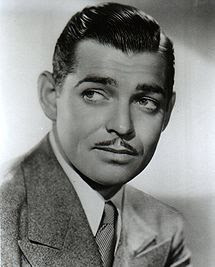 Actually her husband Clark Gable had been originally asked but Gable bowed out due to his fear of public speaking. Lombard willingly stepped up to the plate and Roosevelt thought it grand that a native of Indiana should take the reigns. On January 15, she arrived in the capital Indianapolis by train. Lombard's trip was a great success, she sold $2 million dollars worth of bonds in fifteen hours, and she was eager to get back to Hollywood and Gable. Despite her mother's pleas that the trip was unlucky (her mother was a numerologist and the number 3 which is unlucky kept cropping up), and the toll the long plane ride would take cross country, a whopping 17 hours from Indiana to LA with a stop for refueling in Las Vegas, Carole could not be talked out of it. She insisted that she could sleep when she got back to Los Angeles. They left on Friday, January 17th early in the morning. Unfortunately Carole should have listened to her mother. The plane crashed in the Spring mountains and everyone was lost, including Lombard and her mother. Gable was devastated when he heard the news. Gable and Lombard had only been married a few years when she died. After a tumultuous courtship, and the struggle over his divorce, they had finally settled into the rhythm of marriage. They had even overcome Gable's inability to resist anything in a skirt. It was not supposed to end this way. Nobody knew when they first making "No Man of Her Own," that the two stars of the picture would one day be seen as one of the greatest love stories in Hollywood history. The two actors just barely got along. Gable thought of Lombard as a bit of a prima donna, and Lombard didn't want to be just another notch on Gable's belt. She had just married debonair actor William Powell and wasn't looking for an on-set romance. When the movie was over, Carole presented Gable with a large ham with his picture on it. Flashforward to 1936. Lombard is now divorced from Powell, who remains one of her closest friends. Gable is now seperated from his second wife, Ria Langham Gable, a much older two-time divorcee he married in 1931. Gable and Lombard meet again at ball at the Mayfair Club. They danced several dances and sparks flew, Lombard invited him to an after-party at her house, but he left in a huff when he realized that they weren't going to be alone. Lombard sent him a dove as make-up present. Gable kept inviting Carole out but she was always busy. No way was she going to sit at home waiting for him to call. Smart woman that she was, Lombard played hard to get, something that was new for Gable. After a few minor setbacks, they were soon a couple. On the surface, they couldn't have been more different. Lombard was born Jane Peters in Fort Wayne, Indiana on October 6, 1908 to an upper middle class family. Her parents seperated when she was 6, and her mother moved her and her two brothers to Los Angeles. A tomboy who loved to play the same games as her two older brothers, Lombard was discovered by director Allan Dwan while playing a game of softball. She was cast as the tomboy daughter in a silent film called "A Perfect Crime," when she was only 12. Carole left school at 16 to pursue her career as an actress. She was soon signed to Fox studios but her career was over before it began when she was in a car accident at 18. She and a beau were waiting for the light when their car was rear-ended. Carole hit the windshield. At the hospital, she had to endure 14 stitches without anesthetic because the surgeon told her if they waited it would be worse. While healing, Lombard immersed herself in learning about the filmmaking process from lighting to the camera in order to learn how to minimize the scar on her face. She was soon back making pictures this time with Mack Sennett before she finally ended up at Paramount Pictures. Gable on the other hand had lived a rougher life. Born in Cadiz, Ohio in February of 1901, Gable's mother died soon after he was born. His father was an oil driller who eschewed anything that smacked of learning. Gable's stepmother encouraged him in school and in pursuing his dreams. When she died, Gable dropped out of highschool and drifted for a few years before he finally had the courage to pursue his dream of acting. His father disowned him thinking that acting was a job for sissies. Gable drifted to the Pacific Northwest where he ended up doing odd jobs for a theater company. It was there he met his first wife Josephine Dillon who took him in hand and taught him how to walk and talk on stage. They married in 1924. Josephine was 11 years older than Clark and was clearly a substitute for the stepmother that he had lost. Soon however, Gable didn't need Dillon anymore as he began to pick up more and more acting work. After a stint doing regional theater in Houston, Gable made his way to New York with his new girlfriend, Ria Langham. Langham picked up where Dillon had left off, this time teaching Gable how to dress and how to mingle with high society. Gable made his Broadway debut in Sophie Treadwell's Machinal which was a great success. It was now time to go back to Hollywood and films. Langham paid for a production of The Last Mile, casting Gable in the role that Spencer Tracy had created on Broadway. The gamble paid off and soon he was signed by MGM, despite his less than stellar looks at the time. Gable needed his teeth capped and he unfortunately looked like a sugar bowl when he was filmed straight on. He grew a moustache which became his signature look and was soon on his way starring in films with heavyweights Norma Shearer, Greta Garbo and Joan Crawford with whom he would have an on and off affair for the next thirty years. It was a good time for Gable to get started in films. Male stars were thin on the ground since the coming of sound. Gable was masculine in the extreme compared to silent screen stars like Valentino and Ramon Novarro, women swooned, and men wanted to be him. By 1936, Gable was the King of Hollywood, an Academy Award winning actor for 'It Happened One Night,' and Lombard was the highest paid female actor in films. They were both at the height of their careers. Lombard was unlike any woman that Gable had ever been with. She was the type of woman who looked like a lady but could also be a dame. A real man's woman. Although initially Lombard wanted Gable because he was the King, she soon fell deeply in love with him. She realized that underneath the masculine exterior, he was really a shy little boy. Still, Lombard's friends warned her about Gable, they felt that he was too high maintenance for Carole. Lombard had a reputation for being a fun-loving and generous woman, who would give the shirt off her back to anyone. She was known for paying for the medical bills of actors who couldn't afford it and never once asked to be repaid. She could also curse like a sailor, a habit that she learned from her brother's who taught her to swear to keep away any suitor who had wandering hands. Practical jokes were her specialty as well, she once showed up at a party in an ambulance dressed in a hospital gown. She was a screwball heroine come to life. Soon however, her life with Gable became more important to her than her career. Gable slowly weaned her off her entourage of friends and hangers on. Although she still played practical jokes, she became a little less zany Carole Lombard, and the more sophisticated woman she really was. She learned to hunt and fish which Gable's favorite hobbies, becoming so good that she was soon a better shot than Gable! Their relationship had an effect on Gable as well. He learned to be more social, and to be more generous. He had a reputation for stinginess in Hollywood, the leftover from the lean years of his career when he had nothing. The loving couple soon called each other "Ma" and "Pa." Lombard moved to Bel-Air where the couple would have more privacy from the prying eyes of Hollywood and the detectives that Gable's wife had spying on him. The only flaw in their life together was the fact that he wasn't divorced. The hold-up being that Gable didn't want to have to give up so much money to Ria. After three years together, Carole was getting frustrated. She wanted to marry Gable and start the process of making little Gables. It was finally a Hollywood fan magazine that led to their marriage. Photoplay magazine had written an article called "The Unmarried Couples of Hollywood" profiling couples like Barbara Stanwyck and Robert Taylor, Gable and Lombard, and Paulette Goddard and Charlie Chaplin. MGM and Louis B. Mayer hit the roof. It was time for Gable and Lombard to become respectable married people. When Gable complained about how much Ria was soaking him for, Mayer raised his salary from $3,500 to $7,000 a week so that he could afford to get a divorce. Ria was soon wending her way to Reno to establish residency for a quickie divorce. As soon as it was legal, Gable and Lombard were married in March of 1939. Gable was soon immersed in making Gone with the Wind, a movie that Lombard had hoped to star in with him. When that didn't happen, Lombard decided to take a year off so that they could start a family. They soon ran into problems, Lombard had often suffered from terrible monthly problems, and doctors told her that it would be difficult but not impossible for her to conceive. She had a miscarriage after horseback riding, and she was told to curtail all strenuous athletic activities. Lombard, the feminist, wanted nothing more than to have children, and retire gracefully from the screen, leaving her husband to be the only movie star in the family. This might sound strange coming from a woman who had been supporting herself since her teens, but Lombard sensed that Gable needed to be the big cheese and was happy to accomodate him. The married Gables were probably even happier than the unmarried couple. They bought a ranch in the San Fernando valley, and spent their time trying to make it profitable. Lombard still accompanied Gable on camping trips. The only fly in the ointment was that Gable couldn't be faithful. Lombard had no problem with the extras, secretaries and flunkies that Gable slept with. She only feared actresses like Lana Turner and Hedy Lamarr, women who were more on her level. Carole spent a great deal of time on set when Gable made Honky Tonk woman with Lana Turner keeping an eye on the teenager to make sure that the love scenes were only for the screen. Gable and Lombard were entering their third year of marriage when Lombard headed to Indiana that January of 1942. By this time, their relationship was in its sixth year which was like twenty years for people outside the Hollywood dreamland. When Lombard's plane crashed that cold January day, the life went out of Clark Gable. He immediately joined the army Air Corps as a private, and volunteered for the most dangerous missions during the war. He left the army with the rank of Captain. He kept Lombard's room at their ranch house like a shrine, changing nothing. Always a heavy drinker, now he drank even more. At one point he was drinking a fifth of scotch a day. For the rest of his life, he tried to find a substitute for Lombard. He married Lady Sylvia Ashley, the widow of Douglas Fairbanks senior. But Lady Sylvia couldn't cope with the ghost of Lombard, although she tried to turn herself into a Lombard clone. When that marriage went south after three years, Gable swore he would never marry again, but in 1955, he married Kay Spreckels, a former actress and Lombard look-a-like. Like Lombard, she was sassy and not afraid to speak her mind to Gable. Spreckels had been in love with Gable for years, and had no problem dealing with Lombard's ghost. They were married for almost 6 years when Gable had his fatal heart attack after filming The Misfits with Marilyn Monroe and Montgomery Clift, two lost and desperate souls. His only son, John Clark Gable was born several months after his death. Gable was buried next to his beloved Carole. 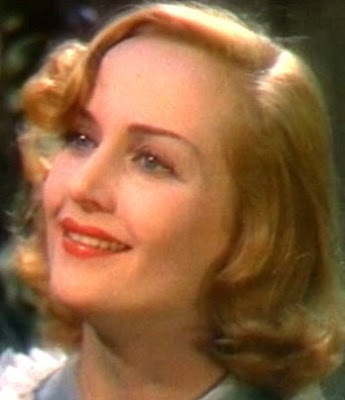 I love, love, love Carole Lombard. I've always wondered whether Carole would have been that content being Gable's "little woman." She was a lusty, bawdy, riot of a woman! Thanks Evangeline! I think that Carole Lombard is a riot. So beautiful and talented. I don't know if she would have stayed content, but I have a feeling that they would have stayed together, defying the odds. To learn more about Lombard, I cordially invite you to visit (and join) my community dedicated to her, "Carole & Co."